With over 15 years experience as a musician, author, journalist and project manager, Andrew is a creative entrepreneur that has seen the highs of lows of critical success. As a seasoned music writer and journalist, his list of credits include partnerships and collaborations with leading Australian hip hop groups The Hilltop Hoods, Bliss N Eso and Grammy Award winning Gold Coast producer M-Phazes. 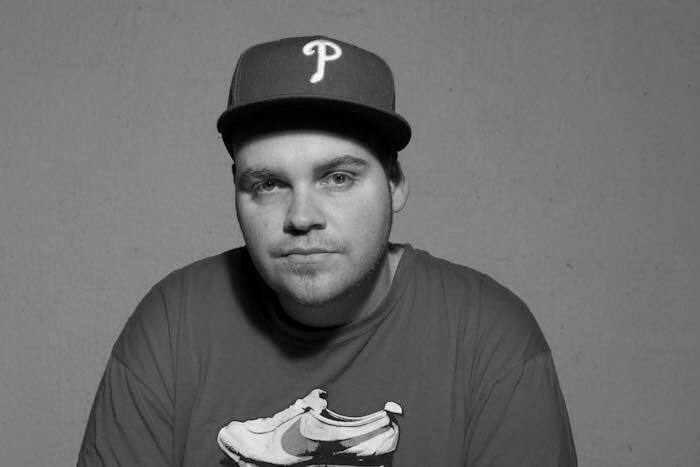 For more than 10 years Andrew was an instrumental force in the development of the blossoming local rap counter-culture and moved audiences across Australia with his live music. Now as a free agent Andrew is the author of The Tokyo 5, a dystopian comic book adventure series that chronicles the lives of five young women and the societal issues they face on a daily basis. Armed with a collection of heart warming and emotionally taxing stories, Andrew’s journey through the peaks and troughs of a creative artist’s struggle to survive are captivating audiences through his podcasts and comic writing. With a penchant for discussing the human condition, Andrew believes his stories and the lessons they teach can help equip people with the tools to understand depression, combat apathy and unlock their creative potential. Flerida’s second ‘An Uncommon Dialogue’ discussion with Joe Warburton Jr. aka Motley, UK Born rapper who began his journey from very humble beginnings in a council estate in Oldham, Manchester. Motley has been releasing music independently since 2005, scored hit single “Party at my place” with Aria Award winners Bliss N Eso, produced for artists in the UK and Australia, and has been frequently called upon by tour promoters to open up for artists such as Nas, The Wu-Tang Clan and even Beyoncé. After a Near Death Experience in 2012, Motley woke up and started writing instantly. The writings were eloquently collected with very little refinement and are now the basis of all his actions and music. The 1st of March 2017 has seen the beginning of Motley’s musical rebirth with the release of his new body of work “When I Died” – a collection of spiritual messages from his NDE. This project is the product of an intense introspection, the captivating story of a man who has an insatiable desire for authenticity, skilfully juggling gentleness with violence, calm with anger and spirituality with animality. Motley has continued to combine his passion for music and youth work, setting up a program called ‘The Rhyme Theory’ which was developed to assist and engage trauma affected young people around the world. The main focus of ‘The Rhyme Theory’ is narrative therapy through hip hop with the goal of knocking ones potential, allowing people to see themselves from a different perspective and building enough confidence to move forward through writing Rhymes, providing students and youth with an opportunity for healing.